Just to be clear, the new year starts January 2. Cool your jets. It’s not today. I’m not sure if you make resolutions but if you do I’m here to tell you that really the New Year begins January 2nd. You can relax, ease into if you want, but no big changes will happen on the 1st and no one expects it. Why? It’s a Sunday. See Happy New Year! The new year is a moving target after all. Last year I declared January 4th the real start of 2016. 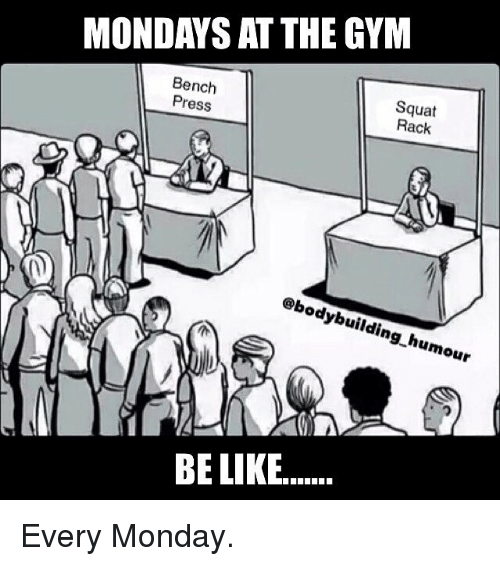 See you at the gym on Monday! I totally agree: the start of resolutions/life changes needs to be chosen to add to the likelihood of success. Starting, say, dry January with half a bottle of perfectly good champagne left over from the midnight celebrations (after all, us older folks no longer dry to excess, even if we drink more than the medical profession think is good for us) is just setting yourself up for failure at the first hurdle. Usually, I’m also not a New Year Resolution maker, but this year, because I’d got a new bike and was feeling enthused, I decided to resolve to ride more regularly with my local club and help with the marshalling and whatnot on the events they organise. While the latter is still on the cards, the former is going to have to wait. In the last couple of weeks my fitness has fallen off a cliff, to the point where even I had to acknowledge it wasn’t just normal end of year lethargy or wet miserable weather and see the GP (general medical practioner) to find out what was wrong. The least exertion resulted in breathlessness (and panting that would put an unfit labrador to shame). Given that I usually cycle my 20 mile commute year round, in addition to regular longer weekend rides, suddenly getting that breathless was indicative of an underlying problem. The GP was a younger (perhaps 40s), small, slim woman who’s initial reaction to my description of being breathless was ‘it’s the result of inactivity and lack of fitness’ – apparently the standard answer when seeing a new patient, that is a 60 year old, overweight female, which doesn’t require you to listen to the symptoms or the context. She went on about losing weight and patronisingly ‘we all get out of breathe when we get older if we don’t keep active’. I had to get to the point of repeatedly saying ‘Listen to me please’ in an assertive voice just to get her to shut up and actually listen to me. On hearing I cycled, it was ‘How long have you cycled for’ – the answer of more than 50 years was treated with disdain, as if I meant that was when I learnt to ride a bike. I had to list the years of training to race, the major races won, when/where I was last competing (Italy, a bit over 10 years ago), the fact I use a bike for utility instead of a car despite living in a rural area, the serious injuries (broken back) that resulted in having to swop to other sports (swimming) for a couple of years resulting in weight gain, the fact that swimming now means open water, multi-mile events, not 10 lengths of the local pool. Finally she got the picture that when I described ‘breathlessness’ on exertion, I was describing the sort of state that I usually only get into at the end of a ramp-test ‘to exhaustion’, not climbing half a dozen stairs. The upshot is that it seems I have a viral infection that has affected my heart (myocarditis) so the regular cycling with the club is going to have wait until I’ve recovered. In the meantime (by way of apology for the rambling comment) can I thank you ladies for this blog – you’ve been an inspiration and thought-provoking over the last couple of years that I’ve been reading regularly. I’m trying to be optimistic about 2017, both that my health will improve quickly so I can get out on my bike before too long, and that the clear and present dangers in the political world will bring forth the sort of actions and organisations in opposition that actually improve things in the future. Either way, patience, perseverance and getting involved seem like the requirements for 2017. Thanks so much for sharing your story with us. Hate dealing with medical professionals who leap to judgements like that. Good on you for persevering. What a horrible way for the doctor to treat you. I would be tempted to make a written complaint.